Sloops were not only fast but also had the unique advantage of being able to sail at a closer angle to the direction of the wind than square-rigged vessels. 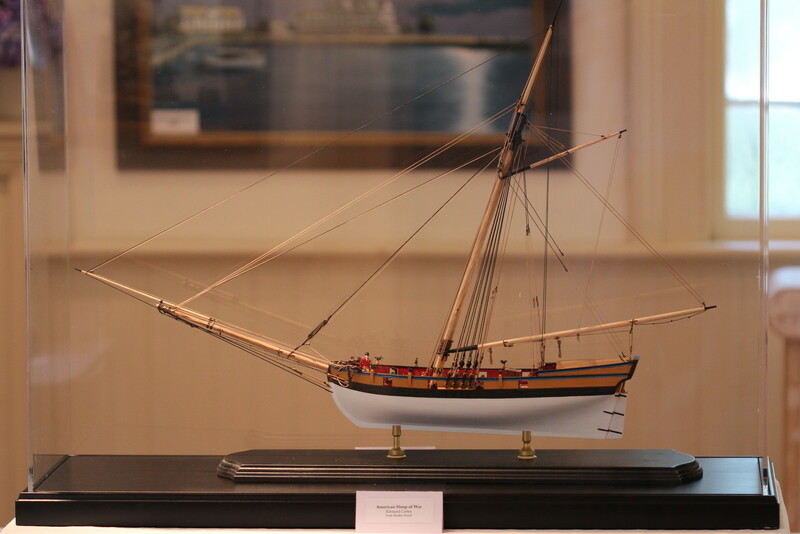 As a result, a sloop could evade or catch a square-rigged vessel by simply sailing ‘closer’ to the wind. 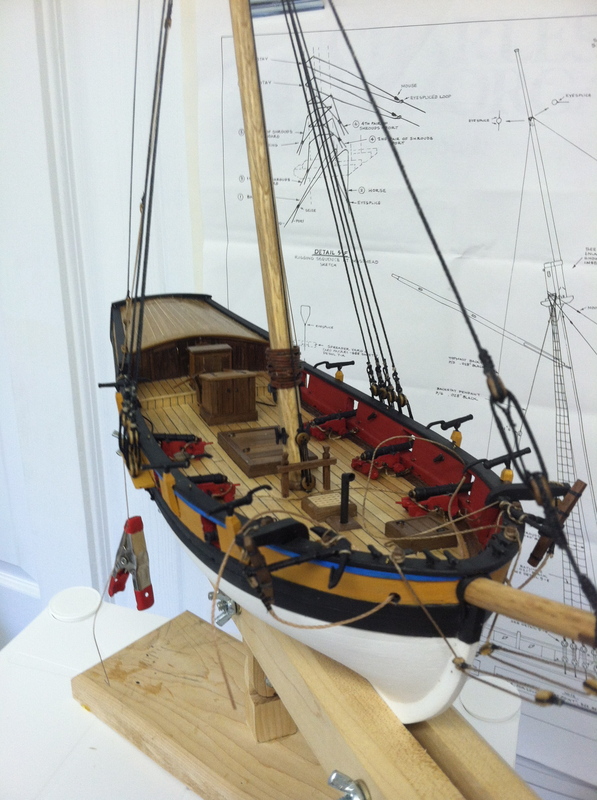 Depending on how much sail they carried, sloops could also be dangerous to sail. 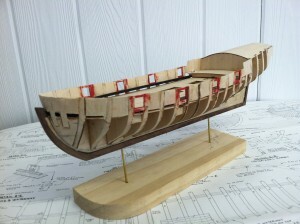 John Paul Jones understood this when he was offered his first command in the Continental Navy. It was the Providence, a sloop of war with a shallow draft and large sails. 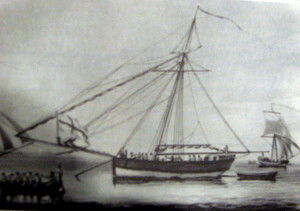 Jones at first refused the offer, stating that he would need more experience before he could sail and fight in such a challenging ship. 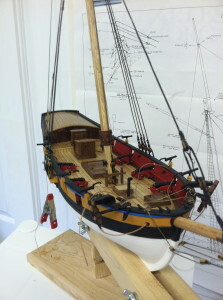 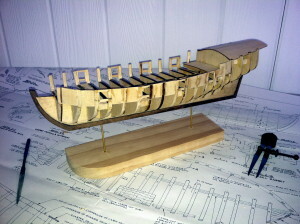 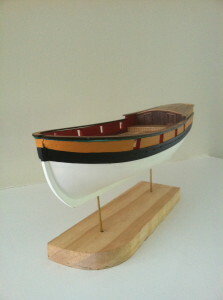 The Providence is now a finished ship model, and pictures were taken during the model building process. 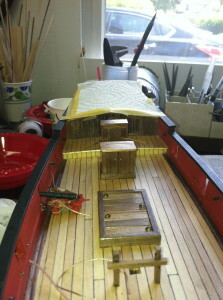 Note the plank-on-bulwark construction. It doesn’t look pretty at the beginning, but it has a sweet finish. 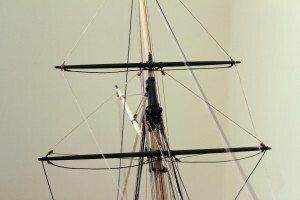 You might be surprised by the rake (angle) of the mast, but if you compare the finished model (below) with the contemporary drawing (above), you’ll see that it was done properly.